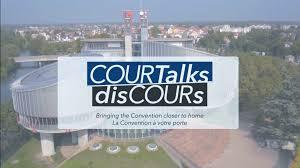 "For some time now, the European Court of Human Rights is under substantial pressure. From a case overload crisis it stumbled into a legitimacy crisis with regard to certain countries. This should be taken seriously, since scholars warn that institutions with eroding legitimacy risk demise or reform. The goal of this volume is to explore how widespread this critical attitude of the European Court of Human Rights really is. It also assesses to what extent such criticism is being translated in strategies at the political level or at the judicial level and brings about concrete changes in the dynamics between national and European fundamental rights protection. The book is topical and innovative, as these questions have so far remained largely unexplored, especially cross-nationally. With contributions of Olgun Akbulut, Tilmann Altwicker, Katarzyna Blay-Grabarczyk, Anna Gamper, Janneke Gerards, Krystyna Kowalik-Bańczyk, Sarah Lambrecht, Koen Lemmens, Lubomir Majerčík, Giuseppe Martinico, Roger Masterman, Aaron Matta, Christophe Maubernard, Armen Mazmanyan, Katharina Pabel, Eszter Polgári, Patricia Popelier, Clara Rauchegger, Michael Reiertsen and Henrik Wenander." The videos are now available in English and French. In the near future, subtitles in many more languages will be provided. The videos are accompanied by full written versions of the spoken text in the videos. The handbook seeks to raise awareness of the relevant legal standards set by the European Union (EU) and the Council of Europe, particularly through the case law of the Court of Justice of the European Union and the European Court of Human Rights. 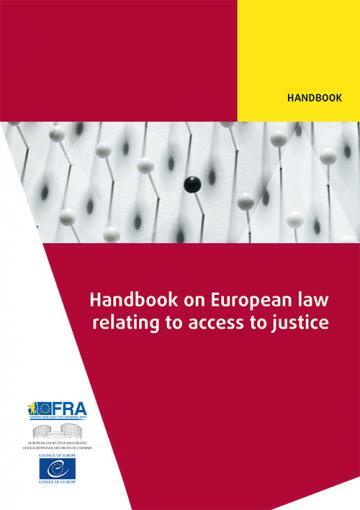 The handbook is designed to serve as a practical guide for lawyers, judges and other legal practitioners involved in litigation in the EU and in Council of Europe member states, as well as for individuals who work for non-governmental organisations and other entities that deal with the administration of justice. The publication focuses principally on civil and criminal law. It covers such issues as a fair and public hearing before an independent and impartial tribunal; legal aid; the right to be advised, defended and represented; the right to an effective remedy; length of proceedings; and other limitations on access to justice. It also examines access to justice in selected areas: victims of crime; people with disabilities; prisoners and pre-trial detainees; environmental law; and e-justice.